"Pissed off doctor" describes her experience getting redpilled about vaccines. This is a tragedy beyond comprehension for me and I understand a lot of it. Have your kids at home if at all possible. Talking to many hospitals is like talking to hundreds of WALLS. They have their ORDERS from the CDC and other people who often HARM your newborns. It does not matter to your child and you if this harm is unintended; the CDC and many hospitals are FAILING both your child and you. Yet one more reason why we cannot "trust" vaccination. No one should be able to FORCE you to take NAGALASE a pathogenic Cancer, Autism and other disease causing enzyme. Great Discussion with Del Bigtree producer of "Vaxxed" on the DISASTER of Forced "vaccination" with UNTESTED "vaccines"
The CDC has an "Adult Vaccination Mandate" completed and waiting to FORCE us all to be "vaccinated" with whatever poison they wish. They will probably need another 9/11 type event to spring this on us. No problem for them. Hey Ebola; yeah that will do it. 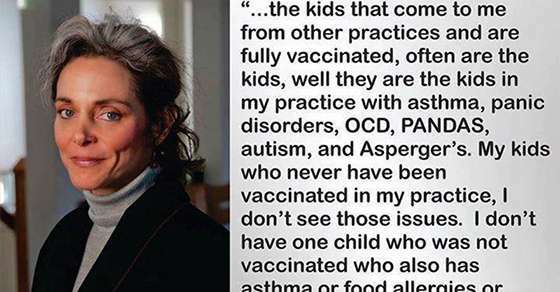 Renowned Pediatrician Says "Vaccination Causes Autism"
The above referenced paper by Lew Rockwell is an excellent description of the house of "vaccination" horrors we have been led into. Please read this excellent paper; you will not be disappointed with the important "vaccination" information. Actually True Scientists are NOT murdering anyone it is the politically correct science shills doing the murdering. 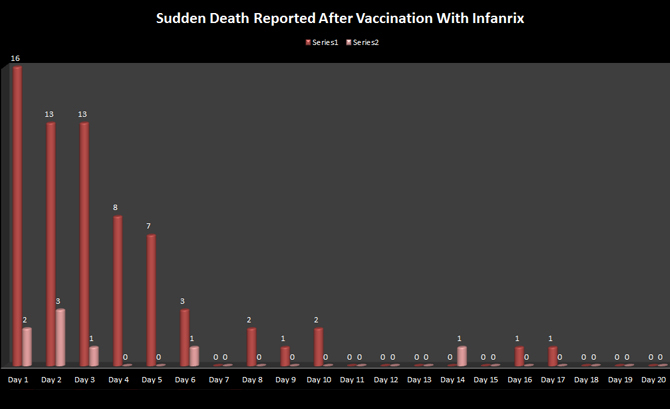 "Perhaps doctors practicing with such a mindset were those who told Sara Frederick in 2004 that her newborn son, just a few months old, should receive seven vaccinations during one hospital visit in order to catch her son up on ones that he didn't receive earlier. Frederick was able to talk them into lowering the amount of vaccinations that her son received. 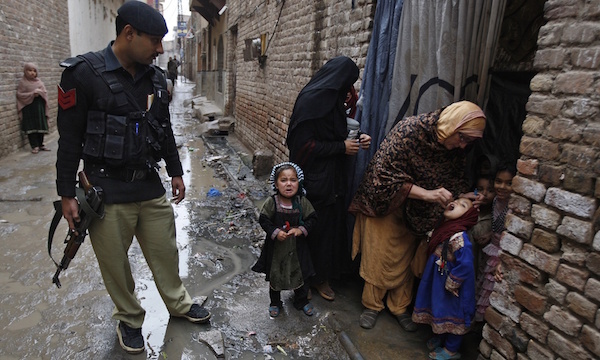 However, her infant died within a day of receiving five vaccinations." History and "vaccines"
FORMAL Forced "Vaccination" (DEADLY poisoning) is coming to the United States of America if we allow it folks. This is clearly the PLAN. Over 90% of our children are currently NOW being poisoned by "vaccinations" NOW. This is being done by the subtle force of the denial of education. Many workers in the Health Care Industry are NOW currently being forced poisoned through the threat of firing. Over 90% of our foolish seniors are NOW receiving the poisonous "Flu Shot" through the false threat of death. California has a LAW MANDATING forced poisoning of their children; a similar LAW is now before the US Congress. The CDC has developed a Forced "vaccination" Agenda for Adults which they intend to FORCE on ALL adults, including sick adults and pregnant women. The ultimate Forced "Vaccination" universe is to be at least 99% of every American from In utero fetuses to those on their death bed. Very few "exceptions" will be allowed and VERY HARD to obtain. Unless we scream long and hard NEVER our masters intend to FORCE this subtle DEPOPULATION tool on us and of course our babies and children. "Vaccination" is often Forced (MANDATED) "health care"
"This was a very hard video to post, my 12 yr old daughter was fine before her vaccine, now this is her life. We live in New Zealand and I thought our healthcare system was ok, we have been left to deal with this ourselves. I'm showing this because I want people to know what damage this vaccine can and does cause." Note the medical system abandons you after vaccine damage. "There is nothing we can do." There is, do not poison our children you bastards. Parents can do a lot before "vaccination". DO NOT "VACCINATE." How the State Intends to Implement Forced "Vaccination"
"In his latest Op-Ed Gates sends a stark message to political leaders and the general public, claiming that a virus even deadlier than Ebola may be on the horizon. According to Gates, should such a virus start spreading the world is ill-prepared to handle it. ... "Other diseases — flu, for example — spread through the air, and people can be infectious before they feel sick, which means that one person can infect many strangers just by going to a public place. We’ve seen it happen before, with horrific results: In 1918, the Spanish flu killed more than 30 million people. Imagine what it could do in today’s highly mobile world." New York Times Gates is no doubt referring to the Ebola-Common Cold cross that Professor Francis Boyle says the NIH has developed. Does Gates KNOW this is the Pandemic that will be released? IMO it will be either a Ebola-Airborne cross or a Bird Flu-Airborne cross. Perhaps or perhaps it is the FEAR of such a cross that will be used to drive the uptake of an "Ebola vaccine" that contains the live ebola virus. Do you TRUST these guys? I do not. The ultimate aim of the man made Political Pandemics of the Bio-Weapons of Ebola and Bird Flu is the institution of a regime of forced vaccination whenever the state orders it. Sooner or later these "vaccines" will mow us down like ripe wheat. 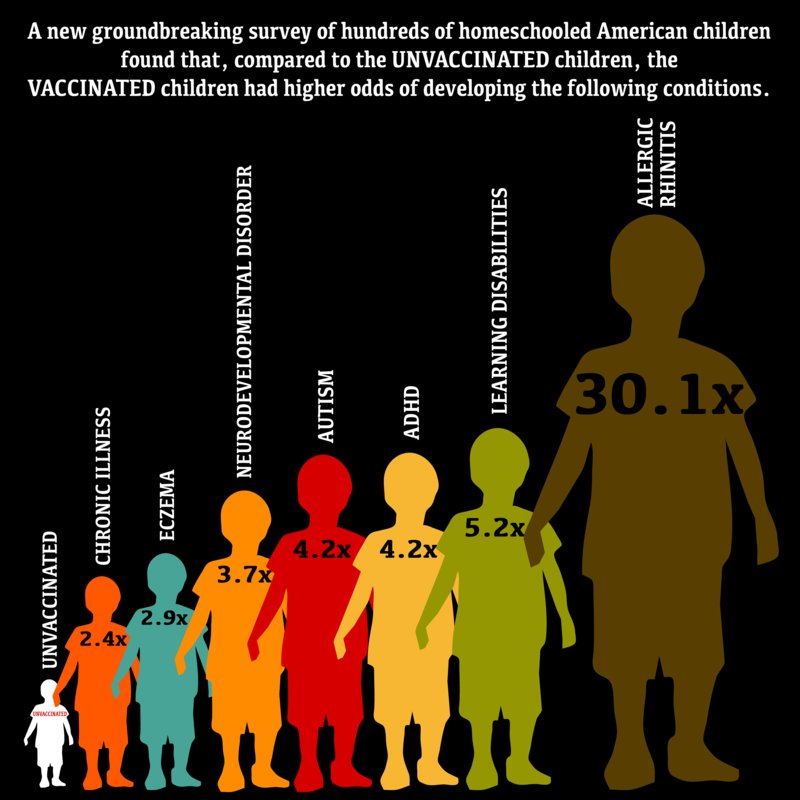 The "childhood vaccines" are NOW harming, sickening, mowing down our children. 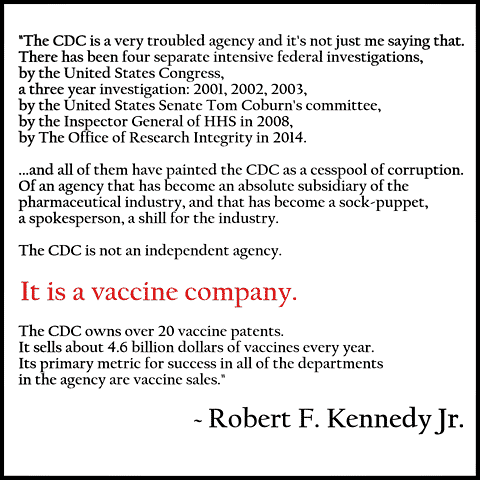 “What neither HHS, the CDC/FDA, nor anyone associated with the vaccine industry will admit to, I contend, is this: With all the vaccines they have mandated for children since the middle 1980s—supposedly for entry into schools—they have – either accidentally or deliberately – created reduced-functioning immune systems that cannot perform in the manner Nature and life intends and genetically programs. “Diminishing function of the aging immune system” clearly will result in—and federally require—periodic re-vaccination in order to effectuate Big Pharma’s vaccination-produced acquired immune system, which apparently malfunctions, in my opinion. How many fully-vaccinated individuals contract the very diseases for which they are vaccinated? How many children have allergies, asthma, and other immune problems? See allergy stats here." Note Wow! Dr. Paul Offit, also known as "For Profit" Offit, is a fairly well-known and frequent proponent of forced vaccination. He regularly dismisses many of the DOCUMENTED actual and potential vaccine risks and promotes vaccine mandates. 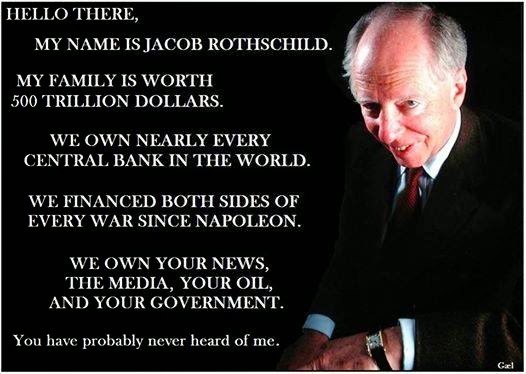 His "vaccine" patents have earned him MANY tens of millions of dollars. If you want to read a fascinating expose of this fraud posing as an honest "doctor", read the recent Philadelphia Magazine expose on him. Also See (Pandemic Update) for a history of the build up to Forced "Vaccination"
Also See (Ebola Protocol) for a history of the build up to Forced "Vaccination"